Where Do I Find My SellerActive API Key? Every SellerActive has an account-specific API key that you can access at any time. Here's where to find yours. 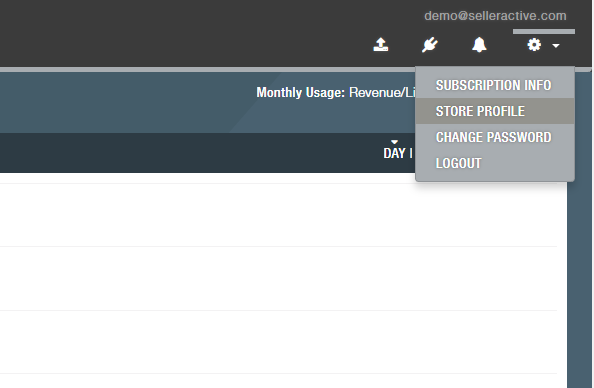 In the upper right hand corner of SellerActive, you will see your email address and a cog with a downward arrow. Click here, and select "Store Profile". Here you will see your API key, along with your business name, address, time settings, and SellerActive-specific account number (SellerID). Navigate to your Products Workspace or Listings Workspace from the left hand side navigation. Near the top, you should see your email address. Click on your email address, and a menu will expand. Select "Store Profile", and you will be taken to a page (as above) that displays your API key and more.